Carl Civella has practiced law for over 22 years. He attended highschool, college, and law school in St. Louis. He started his own practice almost immediately after law school. He has concentrated his practice on representing those charged with crimes, with a particular emphasis on those charged with DWI. In 1994, he became a member of the Illinois Bar. In 2007, he became a municipal prosecutor, which gave him a unique advantage in the courtroom when defending his criminal cases. He was better able to see a criminal case from both sides. Additionally, Carl has regularly attended DWI seminars nationwide, giving him the lastest strategies in DWI defense, and up-to- date knowledge of breath instrument technology. 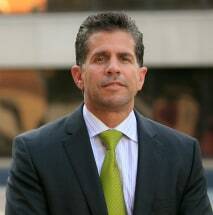 Carl Civella has developed an impeccable reputation among court personnel, prosecutors, and judges over the last 22 years. He takes a great deal of pride in giving his clients highly personalized attention.